Searching for a location for your wedding in Jamaica? Have you considered a Jamaica villa wedding? saying “I do” surrounded by the ones you love in a tropical hideaway. 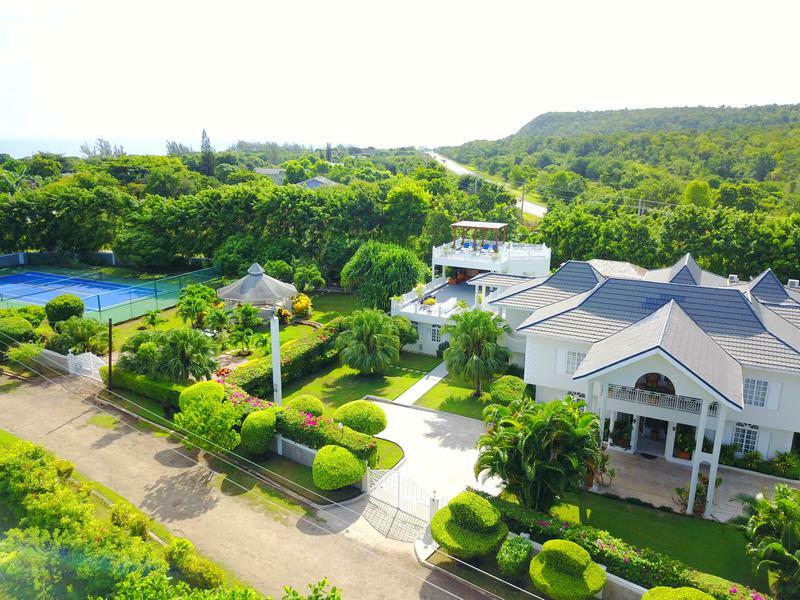 Host your Jamaica villa wedding at Mais Oui, a sprawling villa located in Discovery Bay, between Ocho Rios and Montego Bay. Recently renovated and with room to sleep up to 17 guests, we specialize in intimate weddings of 20 or less, but can accommodate up to 50. Exclusive . . . only rented to one group at a time…yours. Avoid the wedding factory feeling of large resorts and enjoy a private slice of the island where the only ones you’re sharing the sun, surf and sand with are your invited guests. That means no other brides wandering around, and no unidentified beach goers in your wedding album. From picturesque gardens to a rooftop ocean-view terrace, there’s a view to take your breath away around every corner at Mais Oui. 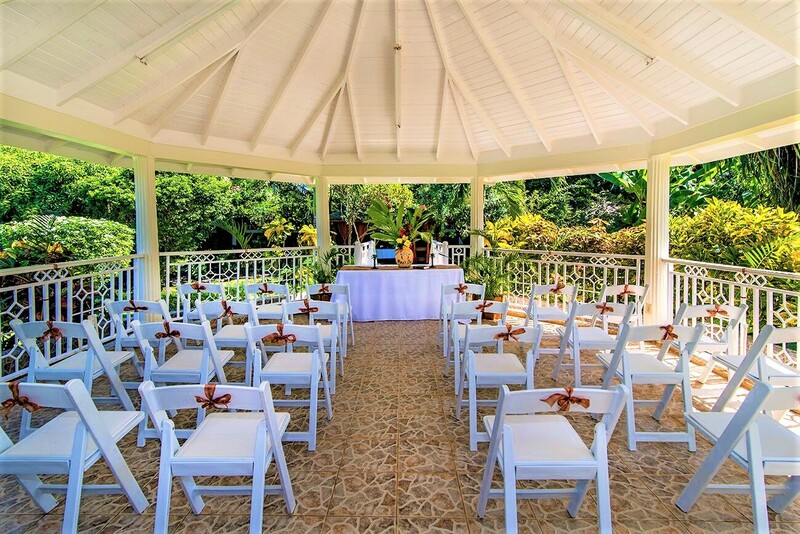 Imagine saying your vows surrounded by tropical flora and fauna, or while enjoying a breeze as the Caribbean sparkles in the distance. the moment you book until the second you leave. walk through our front doors ready to celebrate. accommodations to choose from at nearby resorts and hotels. and family together to enjoy paradise. an unforgettable experience for every guest. spaces for friends and family of all ages to create cherished memories – plus private living areas for quiet relaxation. Learn more by visiting our Amenities page. A private hideaway to retreat to with your forever partner is an important part of any wedding destination. including a whirlpool tub, separate dressing/sitting room and private balcony. Contact us today to start planning your Jamaica villa wedding to remember!